Hailing from New Delhi, India, Chef Anil Chandra has always been fascinated by his mother’s homemade cooking. It inspired him to become a chef. During his training time at a hotel, he pursued a degree in Hospitality Management from a reputable hotel school in New Delhi, India. As a young chef, Anil Chandra was determined to spread his passion for Indian cuisine to the world and make his fellow Indian traveler feel at home with his cooking. He believes that his authentic cooking technique combined with a modern dash will deliver the most original Indian taste wherever he goes. 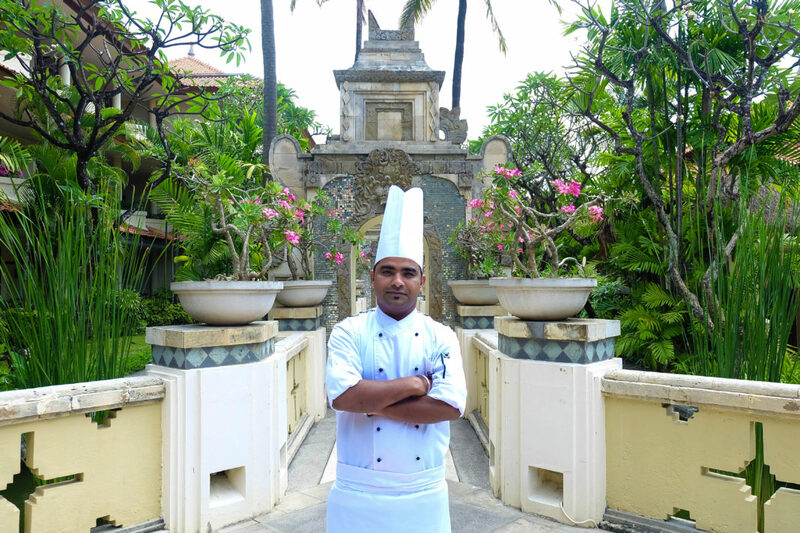 After years of experience in local restaurants and hotels, Chef Anil Chandra decided to broaden his culinary expertise by heading to Bali in 2016 where he joined a respective Balinese hotel before making his recent landing with Nilamani Hotels Bali. His favorite food to cook varies from lamb dishes to traditional Indian sweets such as gajarhalwe, a carrot pudding, and curd dumpling called gulab-jamun. Although he is enjoying his time as a chef in Bali, Anil Chandra works hard to make his biggest dream in life a reality – owning the first Indian restaurant chain in Asia.